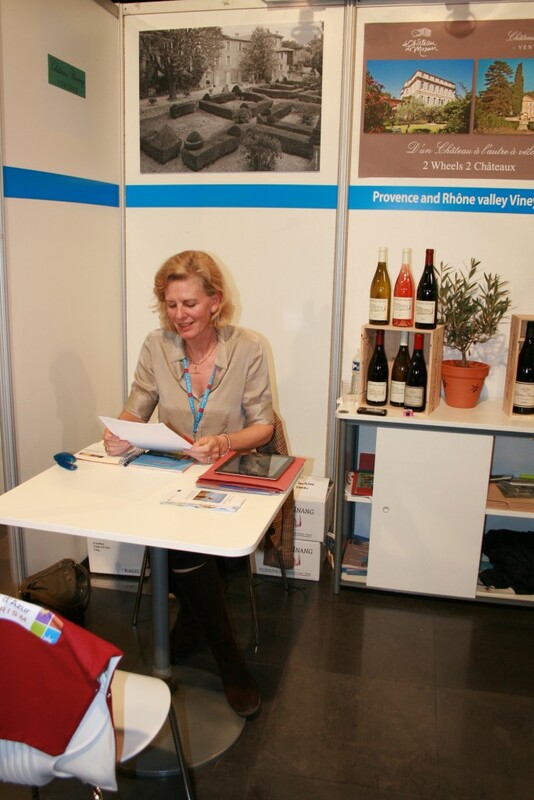 Destinations Vignobles – Speed Dating in the Loire! Monday morning I was speeding towards Paris and then Tours in the Loire Valley to let the tourist industry of the world know what wonders they might find for their clients at Chateau Unang! One and a half days of 20 minute rendez-vous with tour operators from America, Asia, Russia and Europe, looking for a memorable experience to offer. They were delighted with the photographs of the domaine and activities possible here. The package we are proposing together with Chateau de Mazan, staying at their romantic hotel and bicycling through the cherry groves and asparagus beds to Chateau Unang for wine tasting, walks through the vineyard and a delicious picnic in the shade really captured their imagination. A salon dealing with tourist agencies rather than wine buyers was a whole new experience. Fixed appointments obviously made for easier planning, but there was the bonus of a spoiling programme of entertainment – showcasing some of the best that the Loire valley had to offer. Highlights were slipping a couple of bottles of Chateau Unang la Source 2009 on to the table at lunch, where they immediately outshone the fine Loire wines available (literally as you could taste the sunshine taken to produce it!) exciting a very polite group of Japanese ladies on our table, producers from Chateauneuf du Pape and Violes and a Russian agent from the next door table, which had ‘borrowed’ the bottle, who demanded my card! 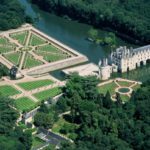 Also a Gala evening at the Chateau de Chenonceau, the Chateau des Dames with its exquisite gardens, and lyrical long gallery over the river Cher – gliding over the black and white harlequin floor sipping champagne listening to the music is something to be remembered for a long time. A constant theme was the torrential rain, the friendliness of my fellow exhibitors, particularly from the Vaucluse, the charm of the town of Tours itself, its cleancut people, very promising shops and wonderful old town.